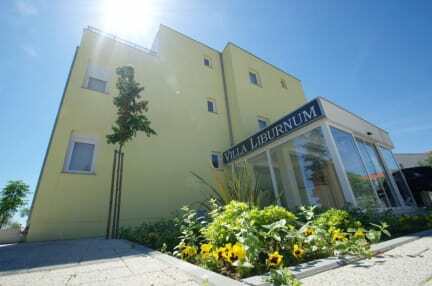 Villa Liburnum is a family-run guesthouse, built in 2013, in a calm area of a beautiful town. 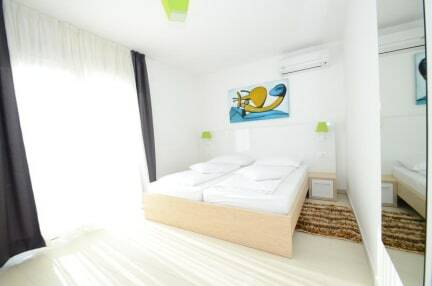 Very comfortable, spacious and modernly decorated rooms are offered. The guesthouse offers also delicious breakfasts which guests may enjoy on the balconies. The reception area is overflowing with tourist information and the front desk is open from 07:00 till 21:00 every day. The parking is free for all the guests. The guesthouse is located in a very calm area, only 2,2 km to the city center. There is a convenient access to Zadar's public transport, and taxis available non stop. It is located only 11 km from the airport, 4 km from the main train station and 2,2 km from the harbor. Only a few minutes by car from the best beaches and city's main attractions (Old Town, Sea Organs, Greeting to the Sun, museums, local restaurants, etc.). All the rooms are air-conditioned, non-smoking and all have a balcony. They are equipped with the television, telephone, hairdryer, and all the stuff one needs for a good stay. There is an access to the Internet in each room. Payment upon arrival by cash, credit cards (Visa, Mastercard), debit cards (Maestro). Breakfast not included - 6.00 EUR per person per day. Reception is open from 07:00 - 21:00.